When I was a kid we’d have hot buttered rum at Christmas time. Well okay, to be clear, the kids would have hot buttered water.. the parents would have hot buttered rum. The “buttered” mix was kept in the freezer in an old ice-cream tub. My mom mixed up a batch according to Grandma’s recipe and then stored it in the freezer. When it was time for hot buttereds we would put on the water kettle, use the ice cream scooper to get a scoop of the mix from the freezer, and then top the mix with hot water. The parents would also add a shot of rum. Hot buttered water was.. okay.. and I’d drink it.. but it wasn’t my favorite winter hot drink (I mean it totally did NOT measure up to hot cocoa with mini-marshmallows). It was just “okay”. Add to that, I have (to-this-day) no idea what goes into my Grandmother’s Hot buttered mix. So since moving out of my parents house (20+ years ago) I’ve never made hot buttered mix and I haven’t really missed it. Earlier this month I attended an event called the PPF-Burgundy. After the event some folks gathered around a cozy fireplace in one of the buildings and Ivar started serving out hot buttered rum. Initially I was kind of “meh” on the idea, but it was cold.. and I figured “whatever, it will be warm in my hands at least”. Oh . My . GOD! I had NO idea that hot buttered rum was SO much better than hot buttered water. Ivar didn’t even use a mix. It was made in single servings. He used a dark brown sugar with lots of molasses, good rum, grass fed butter and freshly grated nutmeg. 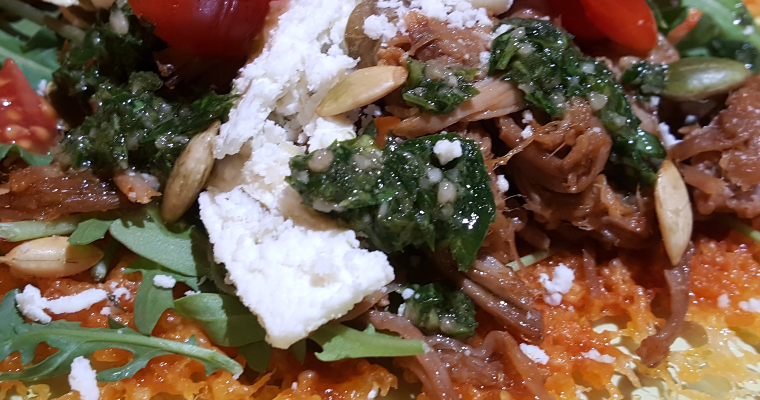 When I got home I determined to recreate this in a more keto-friendly form. After a bit of experimenting (and rationalizing that the cheap stuff which I already had in the house would work fine) I ended up with something quite lovely. 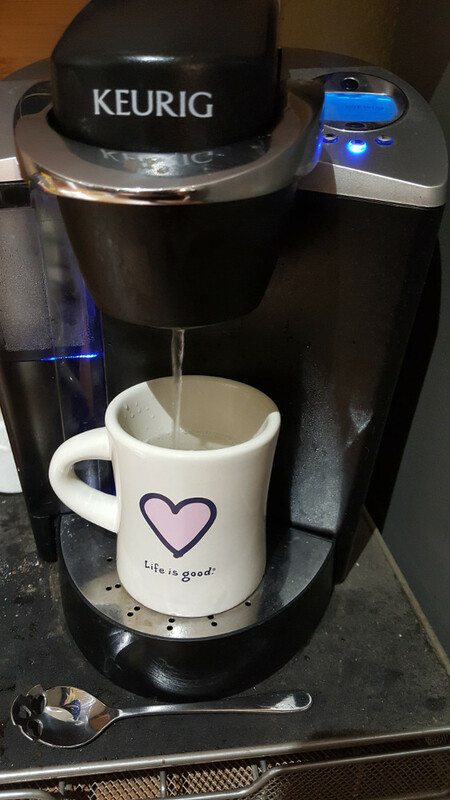 I added 1 tablespoon of salted land-o-lakes butter to my “Life is Good” mug. I then brewed 1 medium setting on my Keurig with no k-cup (8 oz) over the butter. 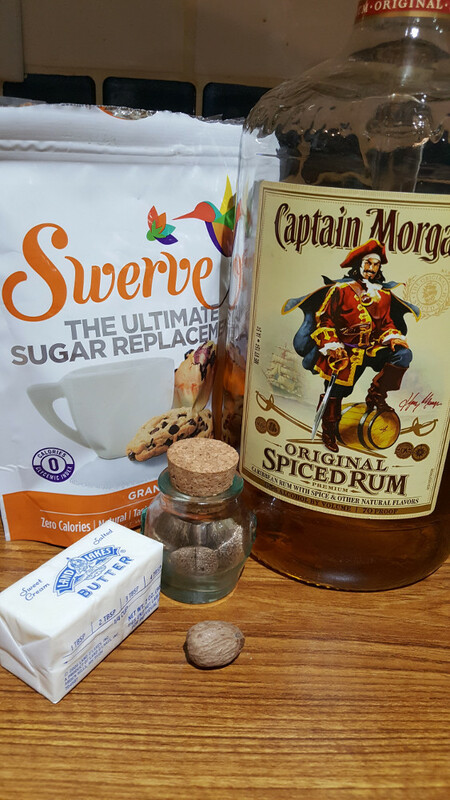 Once the butter was melted I added 1 tablespoon of Swerve (either kind) and 1 shot (2 oz) of rum. 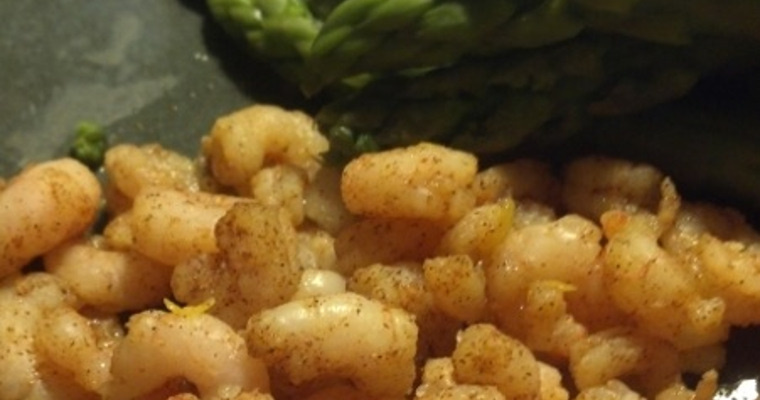 Top this with a dash (<1/8 tsp) nutmeg and/or cinnamon. A little pale, but yummy. 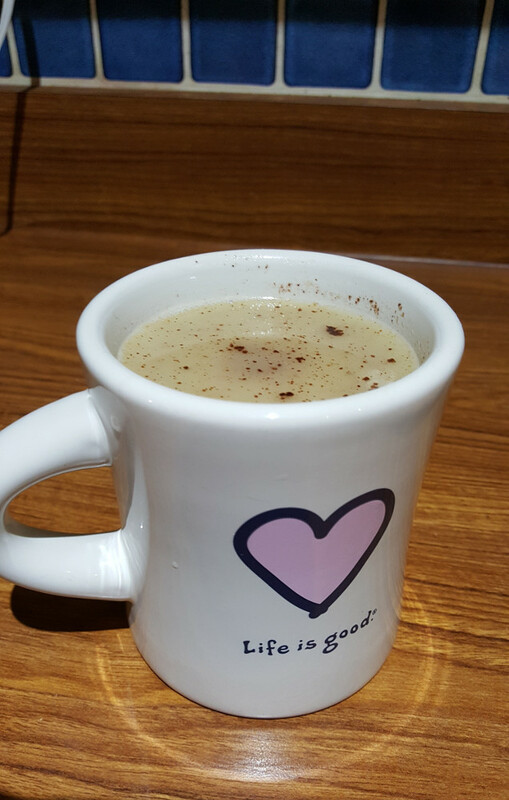 A luxurious drink to warm you up in winter. Add butter to a mug. Pour 8oz of hot water over the butter. Once the butter is melted add sweetener and 1 shot (2 oz) of rum and stir throughly. 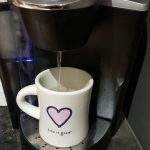 Initially I tried this with my large setting on my Keurig and it was too watery. I suggest 8oz water or less. I'd like the final drink to be a bit darker. 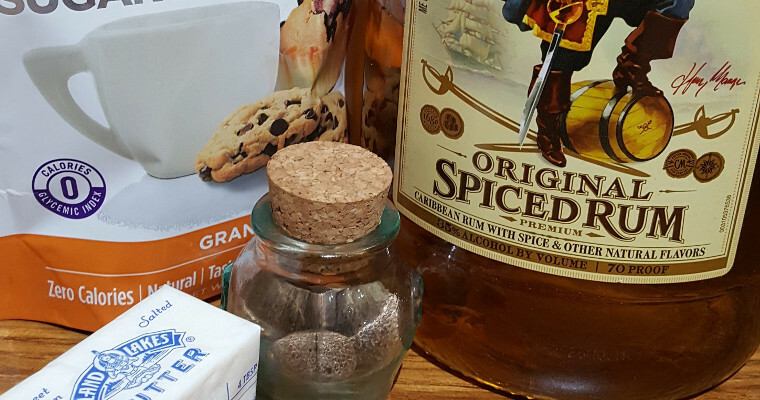 I may try the Splenda brown sugar.. or maybe a darker rum. 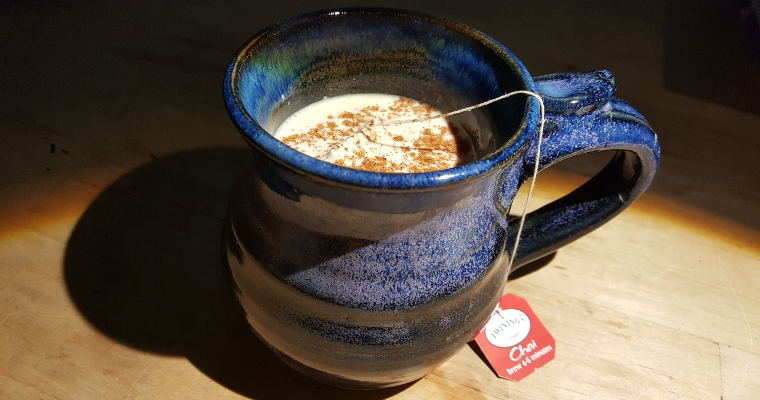 The nutmeg/cinnamon does not dissolved in the water so the last dreg is a bit chewy. Less nutmeg/cinnamon and more frequent stirring may help this. Otherwise just plan to dash (or chew) the last sip. Swerve is an alcohol sweetener. It has the side effect that everything you eat/drink after the Swerve will taste a bit sweet. I suppose you could substitute other sweeteners. MMV. 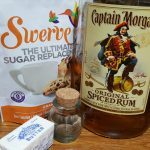 The rum and the sugar potentially make this not "keto". If you leave out the rum and use a sugarfree sweetener than I suppose this is like a Bulletproof coffee minus the coffee. The rum makes the drink!! lol I can see why you weren’t to impressed as a child!! I felt the same way about it. Until I was old enough for the Captain Morgan’s version!! 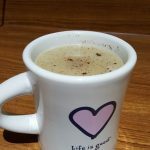 I like to use the Torani SF Vanilla syrup for my sweetener and will use Pumpkin Pie spice since it has all the warm spices in it lol My kids (who are not Keto) like to use the butter on toast or oatmeal in the mornings.. it’s fairly handy to have around.. I think everyone likes sweet spiced butter!! !